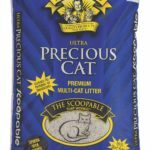 PetSafe Drinkwell Platinum Cat Fountain Review | Is It Worth It For Kitties? Drinkwell Platinum is an automatic pet water dispenser that does not need to get connected to a water line so you can put it anywhere in your house. 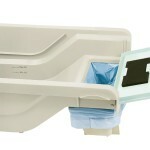 The unit is made with durable plastic that holds 1.3 gallons of water between the water tank and the reservoir. 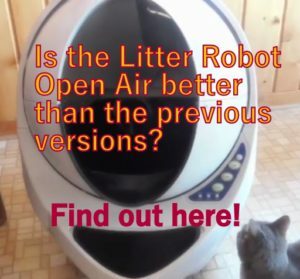 It has a new snap-on-lid to prevent accidental removal and a pre-filter to trap big particles before they get to the motor as well as a replaceable charcoal filter to remove bad tastes and odors. The Drinkwell Platinum has a new submersible pump that creates a more silent operation and an adjustable control valve that allows you to regulate the water stream for a water flow level that works best for your pet. Includes: reservoir, replaceable charcoal filter, snap-on lid, pre-filter, and submersible pump. Self-contained, it does not need to be hooked to a water line. 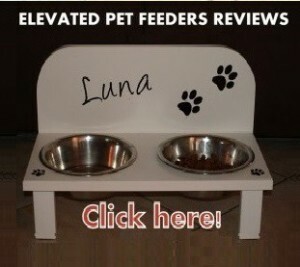 * Intake Water Recommendation per Day: 70 mL per kg (Cat Weight) or 1.074 Oz. per pound. ** Estimated Days Filled of Drinkwell Platinum: The calculations do not consider external factors, such as water evaporation or spilling and were made based in a single cat water consumption. 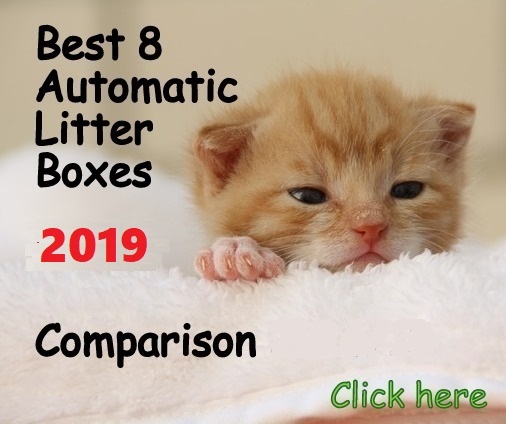 These numbers consider the maximum level of water intake for each specified cat weight. Fairly quiet, it runs smoothly with submersible pump. It can be a little noisy with stream set in high. Long cord allows you to place it further from the plug. Charcoal filter removes bad taste and odor. With special pre-filter to catch big particles before they get to the motor. 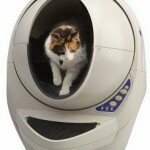 It cannot get tipped over easily by a cat. The unit once disassembled has pieces with nooks and crannies that make them very hard to fully clean. It is difficult to put the water reservoir back in the device without spilling water. You have to change filters often. Motor noise might scare nervous cats. It’s a good idea to refill completely the unit once a week. Make sure the waterer is always filled with water, otherwise the motor groans. An excellent mat to be used with the Drinkwell is the Envision Home 420400 Microfiber Pet Bowl/Food Mat.12.5 x 21.5 size fits very good under the unit; this absorbs spills and reduces the motor sound on the wood floor. To save money of filters and prevent mold formation you can use boiled filtered water. You can setup the Drinkwell Platinum with a timer and this way it does not run all night. 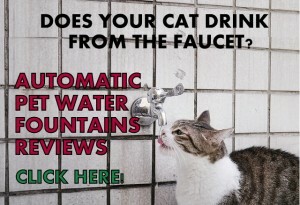 When it comes to pet water fountains you never know if your cat will love it or it won’t even bother trying it. 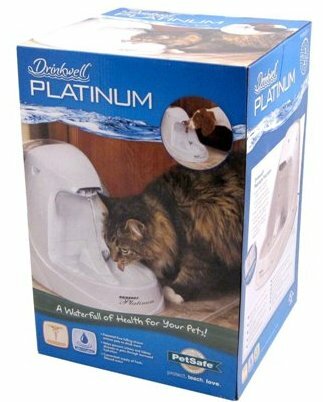 With that said Drinkwell Platinum is a good automatic cat water fountain that works as advertised and it will make your cat to drink more water, especially for cats that only drink water from dribbling faucets or bathtub spouts. 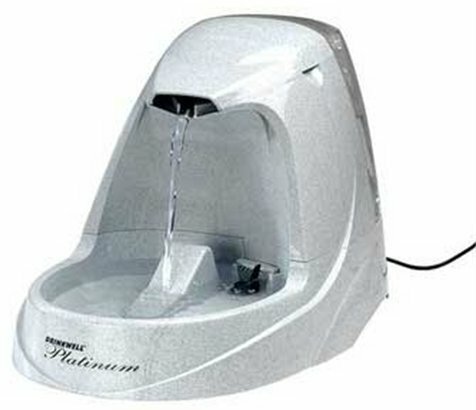 Though, the Drinkwell Platinum as any other automatic water fountain needs often maintenance. 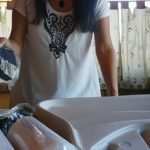 You have to deeply clean the unit once a week (including the motor), change the filters and refill it with fresh water. 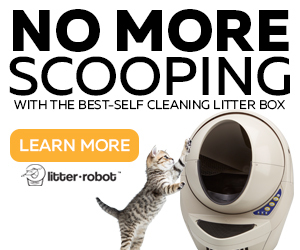 If you do this, you will have a unit that works good for you and your cat. The Drinkwell Platinum is much quieter than the previous version Drinkwell Original water fountain, but still makes some noise. 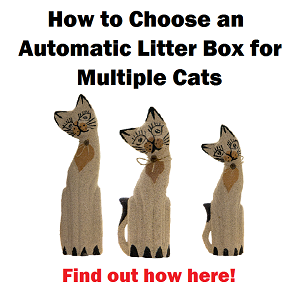 If you have very nervous cat this might not work for you. 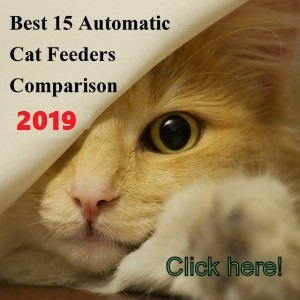 If your cat does not drink water in a regular bowl and only wants to drink water from dribbling faucets or bathtub spouts. If you have patience to deeply clean this unit every week (the fountain Platinum has several pieces hard to reach, but with the cleaning kit is somehow easier). If you want an absolutely silent unit. If you don’t want to spend money in filters. Hello Melissa, Drinkwell Platinum uses a low voltage 12V transformer.